No matter what the sales gurus out there say, digital selling is the future of B2B sales. As technology advances, sales & marketing will continue to change at a rapid pace. Social selling is part of the changing digital landscape and using Linkedin for sales is at the forefront for sales & marketers around the world. Even with the latest outbound craze with the return of phone prospecting and ABM, inbound marketing is still king and always will be in the digital world. Linkedin is the premier social media tool for B2B and below are some key examples on how to use Linkedin for sales prospecting while mixing in inbound/outbound marketing strategies. Likes/Comments/Shares – When you connect with prospects and seeing them engage with your content by liking, commenting, or sharing your posts can give you a good indication that your brand awareness is paying off and reaching out to these prospects can warm the needle to start the funnel process. Adding you as a connect – Adding you as a connect is one of the best type of inbound opportunities on Linkedin. The fact that they are reaching out to connect indicates there is some level of interest to start a warm conversation. Viewing your profile – Prospects who view your profile are a great way to build your inbound list and starting conversations becomes easy. If they are in your industry and the type of customer you want, make the phone call or send your intro email. Lead Nurturing – When you post content, you are able to see which companies are viewing your posts. This is a good way to start your own lead scoring system to create a marketing qualified lead for yourself. Using the Linkedin publisher tool as a blog to get followers is a goldmine for creating inbound leads. When you publish a post on publisher, it goes into a large feed which gets a lot of eyes on your content which leads to potential prospects following you. Use the publisher exactly like your blog by using keywords, internal links, long form content, and more. 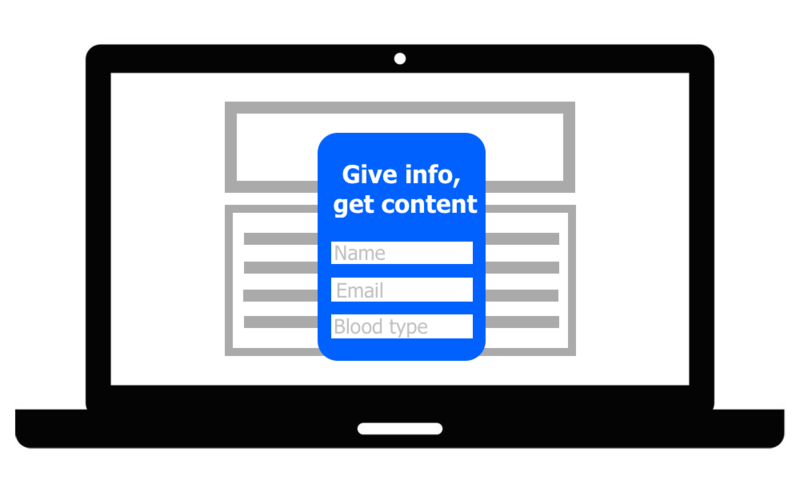 Try and have a CTA at the end with some kind of opt-in or take the reader to a landing page on your site to possibly capture their information. Linkedin publisher posts also show up on google so properly implementing seo strategies can get your posts ranked. The best part of publisher is the more you post, the more followers you will start to have. Your click rate will start to increase with every article written and just like with blog subscribers, you will start increasing your follower list. The key is to stay consistent. It can be hard to manage your job, family, your own blog and write content on Linkedin publisher. Another way is to duplicate your blog post on publisher and put in a link to read more which can take the user to your site which is great for increasing traffic. Inbound marketing is the process of attracting visitors to your site with the intention of getting people to opt-in to capture there information. Posting content with a link is a great way to build traffic and gain some awareness from your connections. At some point you will have to do a bit of selling so add in a good CTA on your post. Below are some quick bullet points. When you post content, are prospects going to randomly reach out to you to talk further? No. Expecting that outcome will leave you waiting forever and with a weak pipeline. Post content with the intention of slowly building awareness and nurturing your prospects. Nothing in sales and marketing happens overnight. Over time your prospects/connections will get more used to your content and look at you as a credible source for information. Once you decide it’s time to take the conversation offline, the dialogue will be more fluid since you have built the awareness of your brand. Meaningful conversations leads to more sales! Marketing and prospecting on Linkedin is a way to lock down more discovery calls with prospects, but at some point you have to reach out to get the conversation started. From an inbound perspective, once you have seen some form of social media engagement from the prospect, it would be a good idea to send an email or outreach using the phone. When you take the conversation offline, the needle has already been warmed. By this time, they will know you, be used to your brand, and you will increase your response rate with your prospect follow-up cadence. Build a list of all inbound type engagements from Linkedin. Analyze your list and start your engagement. With all the inbound methods you can implement on Linkedin, blending in outbound methods are essential as well. We all know with inbound you get what you get and with outbound you get what you want. Sales navigator is one of the greatest tools invented for sales professionals focusing on outbound prospecting. One of the ways to get started is to build a targeted prospect list using sales navigator. Type in a company and a particular title who would be your typical buyer and click search. Based on your industry, you can go through the search results and work on finding the appropriate targets. One good way to approach cold prospects while building value is to connect with them on Linkedin before making a cold call or cold email. Focusing on Linkedin to increase sales is absolutely essential. The tools are there for you. It’s up to you on how creative you can be to leverage these tools to keep your pipeline constantly full. In today’s B2B world, the modern day salesperson needs to be the face and voice for promoting the products of the company. Building your personal brand can significantly add to your lead generation process and create inbound opportunities that you might not have found otherwise. When looking for products, prospects will spend time researching the company, asking colleagues for recommendations, and looking up product reviews. By building a personal brand, your prospects will start to think of you as the ultimate authoritative figure in your niche. This will slowly start the flow of leads for you to work with. Imagine how your sales will look when spending a little time building your own brand? There has been a debate going on for sometime regarding salespeople blogging. Should they blog or should they not? I understand that we need to make the most out of salespeople’s time by chasing new opportunities and working existing ones in the pipeline. But this is also a different era where going digital can set salespeople apart from competition and create endless opportunities. In the end the question is, do you want more leads or not? If you do, start blogging! Try and focus on becoming the ultimate influencer on Linkedin. Create content as well as curate content. Online reputations and personal branding are now key ingredients that make up the successful new modern salesperson. Join your fellow sales & marketing professionals to get the latest articles and tips to your inbox. Enter your name and email address below to subscribe.